In the windows today, coin pearls, the shape of a luminous, full moon. Unusual, not that easy to find in the finer levels, and capable of stopping traffic with their nacre extravaganza. There's a glut of dull white coins in the bead-store market; like lifeless, grayish diamonds, they share nothing but the gem name. 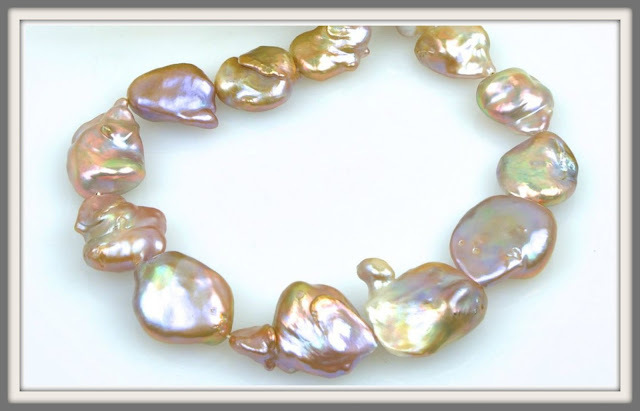 Look for lustre; as Pacific Pearls explain, "Coin pearls exhibit some of the hardest lustre seen in pearls, simply because a flatter area of nacre reflects light more intensely, like a mirror, rather than scattering it, like a convex or irregular shape." Choose the coins with overtones (the noticeable play of shifting colour on the surface), from subtle soft rose to rich bronze or metallic pink. The surface may have bumps or wrinkles but the finest are smooth, to show off that iridescence. For a knowledgeable summary, read Pacific Pearls' article on the composition and history of coin pearls. Sometimes, one side will have excellent lustre, but not the reverse. This matters if you buy a design where both sides can be seen, so inspect the pearls closely, or if you order online, ask the vendor. Below, the new pendant (not on Royleen): a huge coin set in gold, accented by her thirty-year-old round pearl and diamond. Now that's a gorgeous example! The main thing is, you want big ones, to show off that swath of nacre. Oh stop that! I mean the pearls. 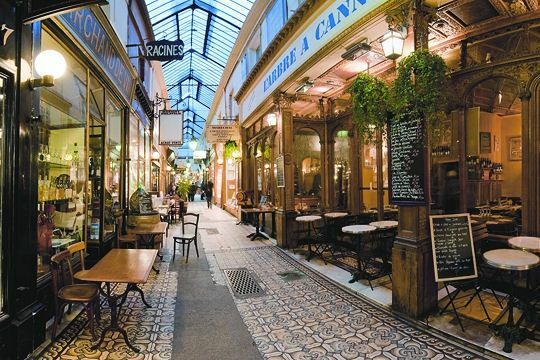 Let's window-shop some lush coins. Left: 10mm white coins set in 14k gold, price, $150. Super-wearable. Right: 17mm white coins in 18k gold; you're wearing some luxurious real estate for your $1, 500. And they are made in pierced or clip. My eye is drawn to colour, maybe because the season's turning, and colour shows brilliantly on the coin's surfaces. 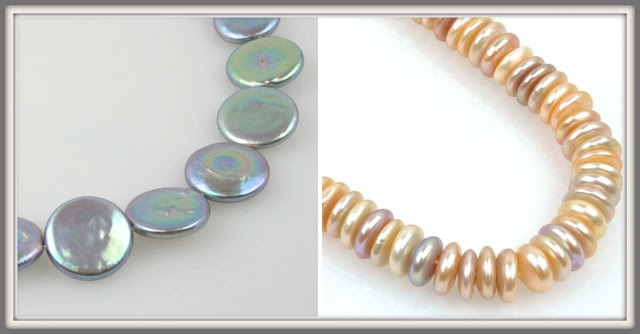 Check this 18.6mm Kojima strand; shown, a section of its lavender and peacock hues. 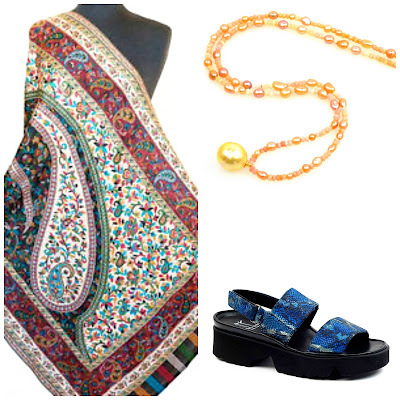 The pearls are dyed, which I don't mind when the colour exists in nature (not red! not teal!) and the rippled surfaces give them an organic look. The 16" strand will string up to another inch, at least, and a rectangular clasp such as a bean or s-hook will maximize length. Price, $108. Free stringing and simple clasp included in the price. Stacked coins: a graceful mix of all-natural pink, peach, gold, lavender; 11-12 mm size (diameter). An spring bouquet of shades wear yourself, or for a special gift; they are June's birthstone. Price, $209 from Pacific Pearls. Coins set with with stones make best-of-both world pieces; I love this style. 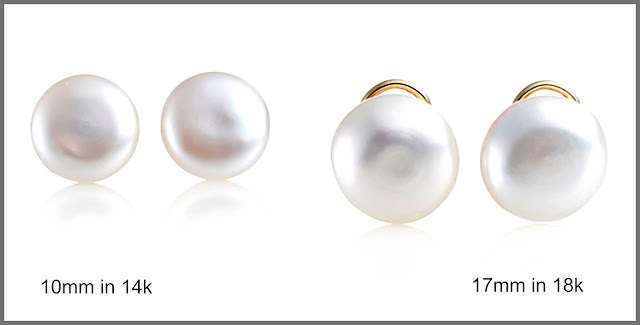 I've seen "I'm not a pearl type" woman have an instantaneous change of mind when she finds these. "Inner Petal" ring stars a very large 25.4mm (one inch) pink coin. 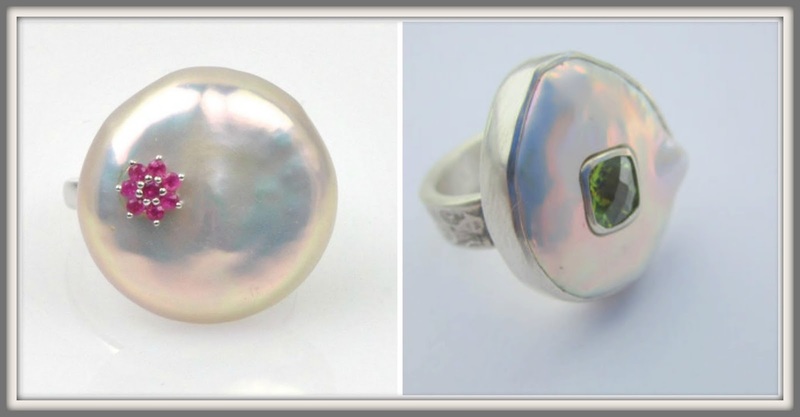 The green, pink and gold overtones on the pearl echo the deeper pink of the rubies. Rhodium plated silver band. Price, $243 at Kojima Company. Ring of 20mm coin pearl inlaid with a 7mm rectangular peridot, on a very cool printed silver band: a one of a kind, casual piece I'd wear with everything. By Marc Gounard; price, about $US 200. 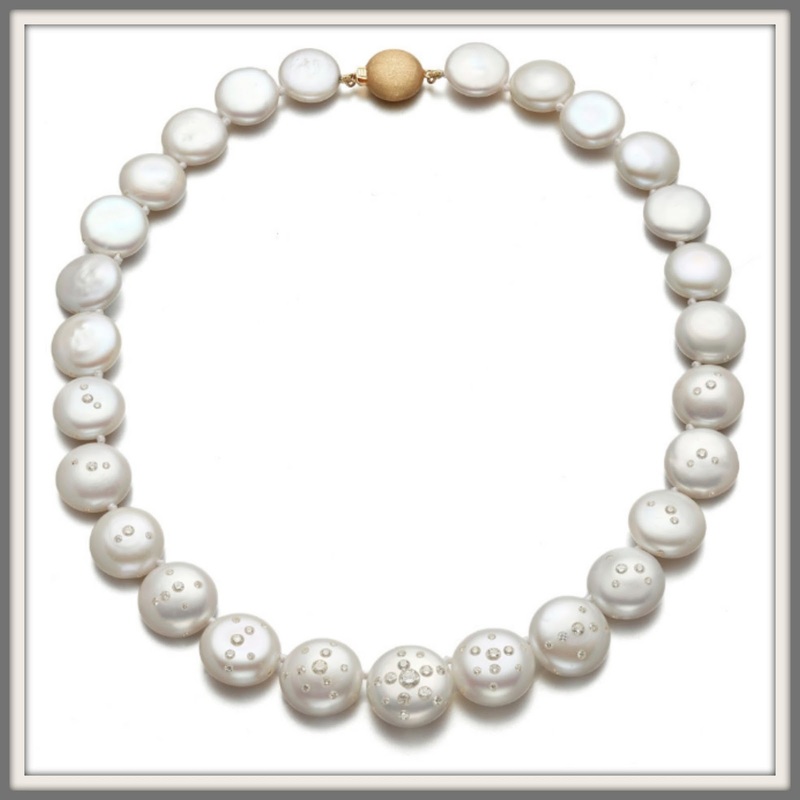 Let us pause before parting to ogle a Russell Truro diamond-inlaid coin-pearl necklace. He has made his signature diamond and pearl pieces using many varieties, but I especially like the starry twinkle of diamonds in coins. Over four carats are sprinkled here, so you'll need plenty of coins in your pocket, too: $16, 250 at Gump's. Gorgeous! 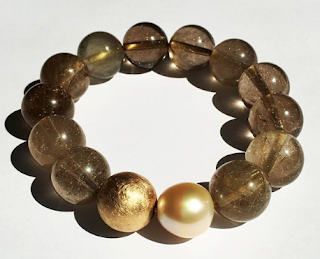 Fun to see the pearls imbedded with stones, wonderful how the contrasting materials play off each other. And Royleen's make over turned out so well - love the simplicity and elegance of her new pendant. 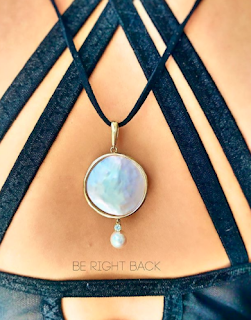 Thanks for featuring my pendant, Duchesse! Sarah is a dream to work with!